It seems that you are using CPT 7.1 on Ubuntu 16.04 LTS. I have found a nice guide to run CPT. Install CPT as you have already done. 3 . Launch CPT with the packettracer. Update: this procedure works with CPT 7.1.1 too. Not the answer you're looking for? Browse other questions tagged networking cisco or ask your own question. How do I install “Cisco Packet Tracer” on Ubuntu 18.04 LTS? How to install Packet Tracer 7.1.1 on ubuntu 16.04? How do I run Cisco Packet Tracer 6.0.1? 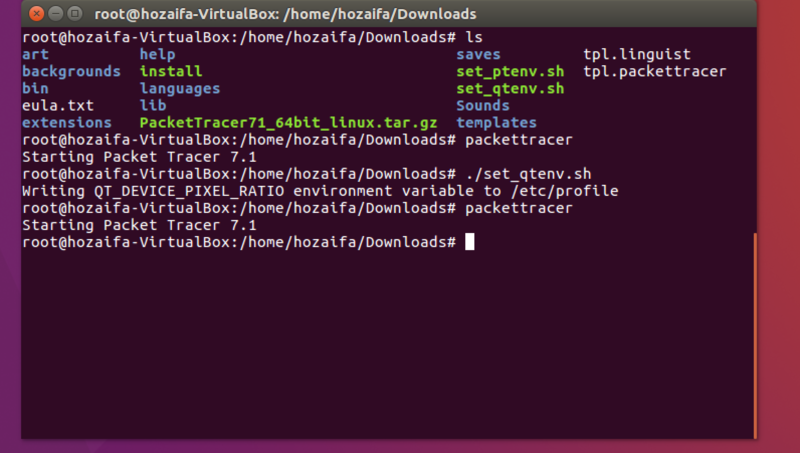 Cisco Packet Tracer install file backs up my home directory?